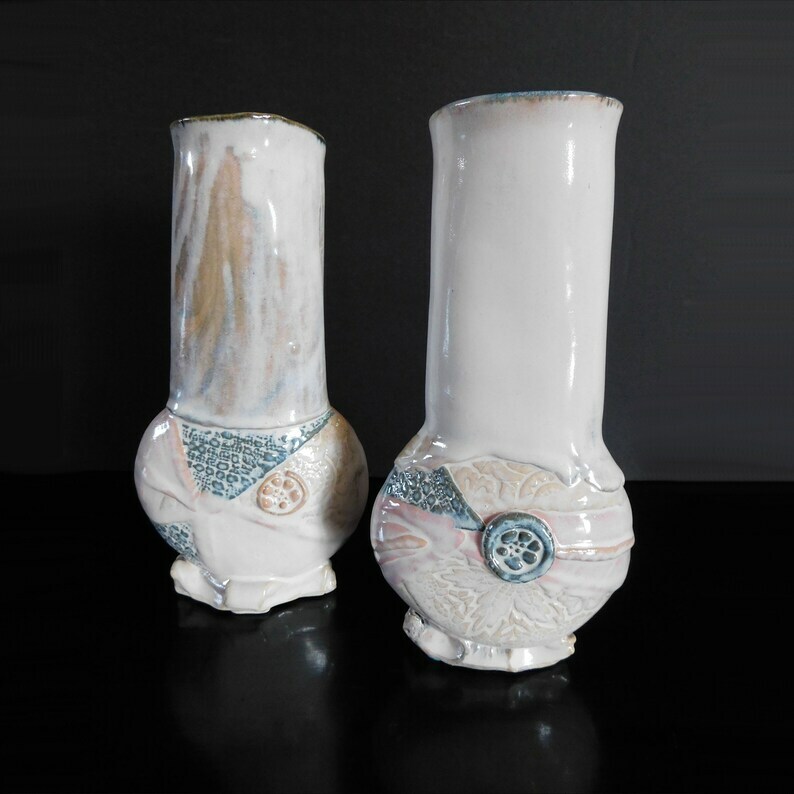 A glossy white glaze runs down over the entirety of this hand built porcelain sculptural vessel softening and muting all of the colors. A patchwork circular body of textures and patterns forms the focal point of this small vase. The circular body is surmounted by a cylindrical neck with a naturally edged rim. This vase is a Pottery Second due to a design flaw. Its flattened, slender profile makes it unstable and it also leans a bit. The problem may be fixed by using poster tack to level it and attach it to any level surface. It may be used for light weight flower arrangements once it is firmly attached. Pottery seconds are sold at 50% off of the normal retail price.